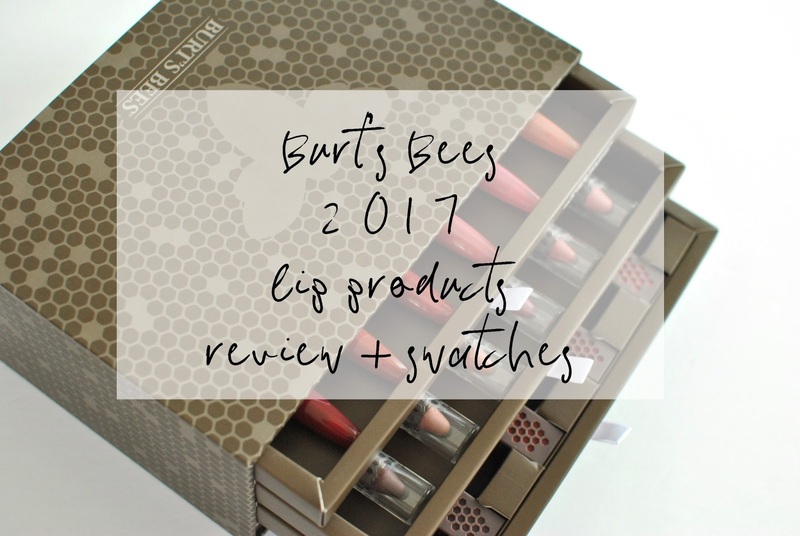 Burt's Bees is one of my all-time favourite drugstore brands. 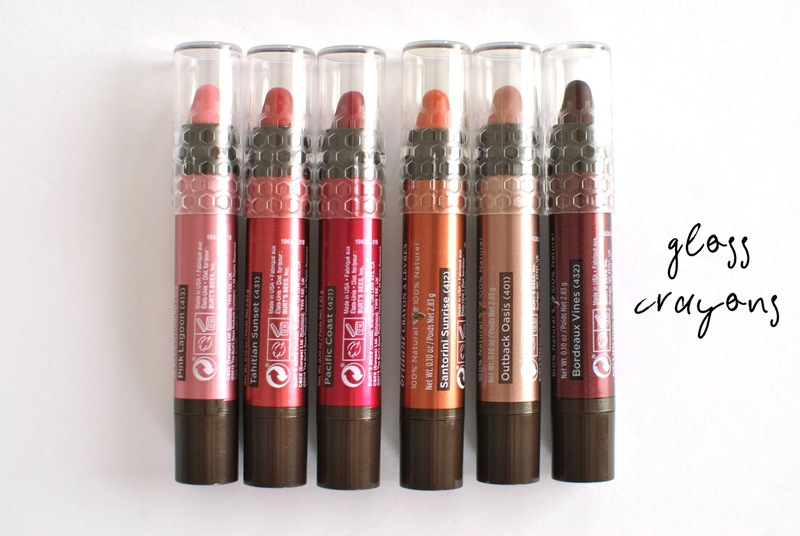 I love their baby products and always have at least 2 or 3 of their lip balms around the house and in my purse. 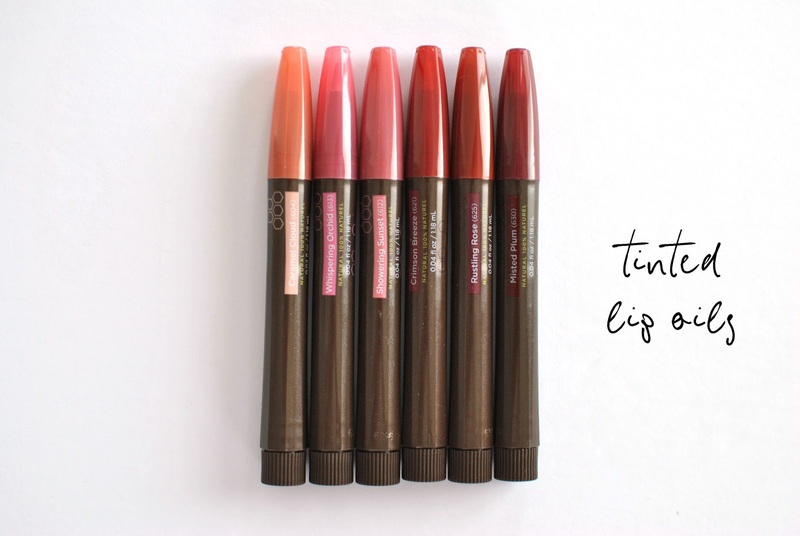 They recently released a few new lip products, some of which I was really curious about (tinted lip oils? yes please!). 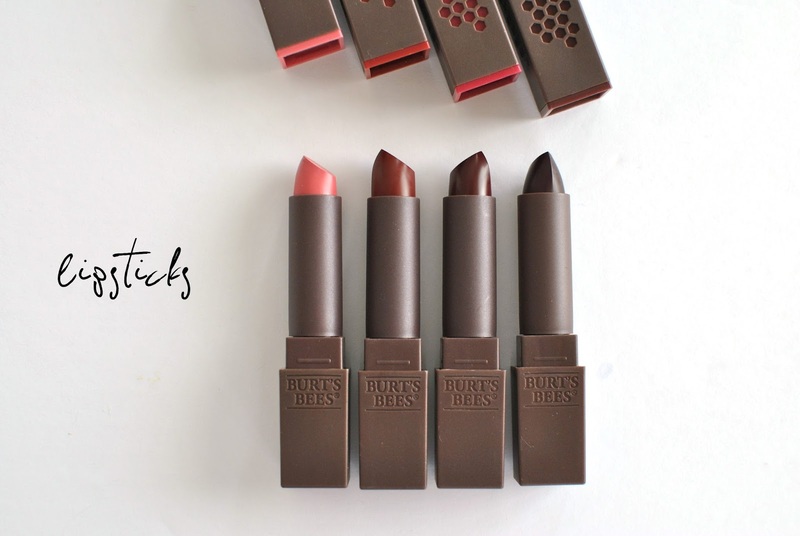 The tinted lip oils are a brand new product for Burt's Bees and I was super curious to try them. They did not feel like a straight-up oil, which is probably a good thing; the consistency is more like a liquid lip gloss. 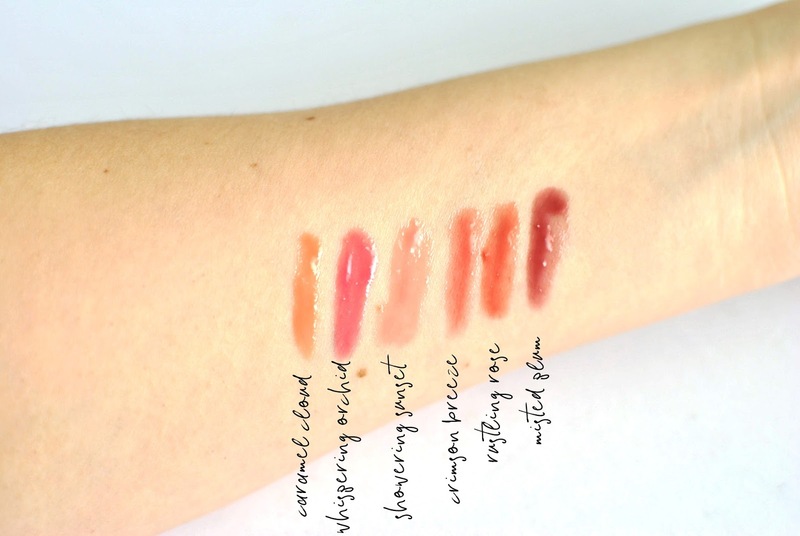 It is not sticky at all, it feels moisturizing, and the color payoff is subtle but pretty and glossy without being goopy. 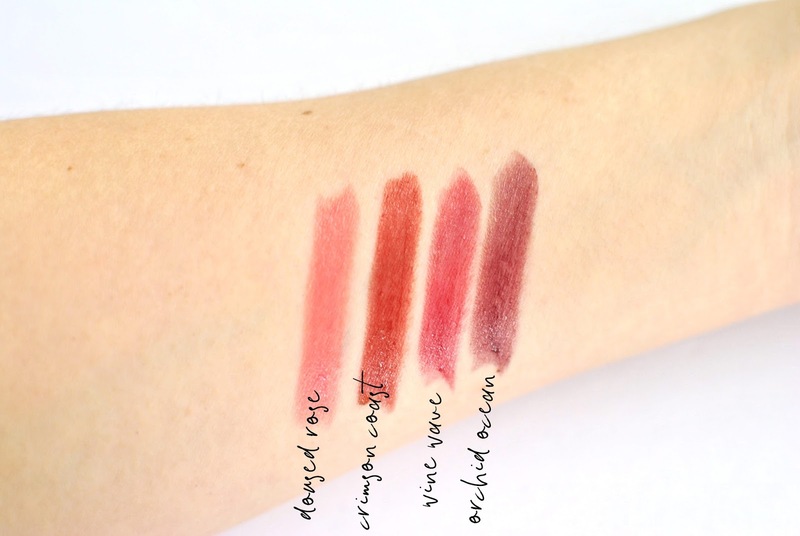 I like using them on their own for a natural, bitten lips kind of look, or on top of a lipstick for a touch of shine. The gloss crayons are also a new release and I love the shades and packaging. There's something for everyone and every occasion. However, these are supposed to be glossy and I don't think they are. Some have a slight sheen to it, but I could easily see another brand marketing them as mattes. 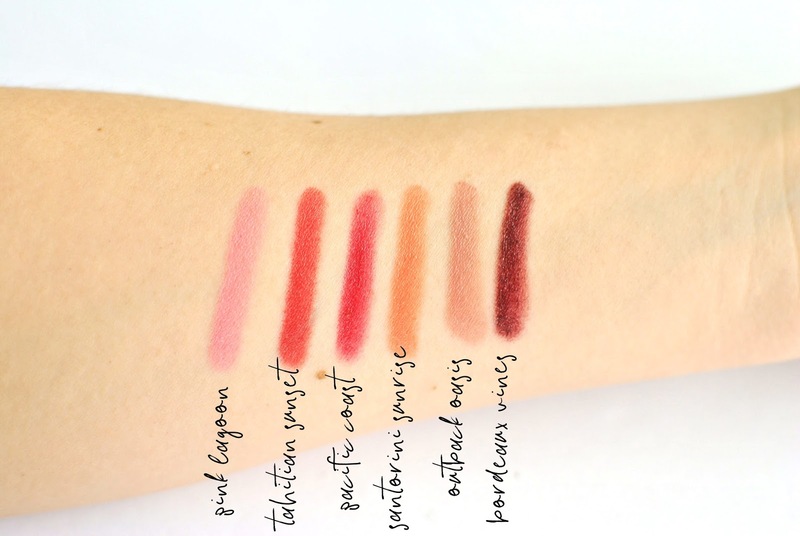 Aside from the lack of shine, I think the pigmentation is great, the shades are absolutely lovely and the color payoff is really good (only the darkest shade is a little patchy, as you can tell from the swatch). Last but not least, the lipsticks. I believe these aren't new, but I had never tried them. I love that they are moisturizing, but that usually means the pigmentation isn't as strong as it is in other formulas. This doesn't bother me at all since I love a slightly sheer lipstick with a bit of a sheen, but keep it in mind if you're looking for something 100% matte. Again with this formula, the darkest shade is a bit patchy, which is often the case with plum and wine colors. I absolutely love the pink shade which is just peachy enough to look pretty on everyone, as well as that soft brick red which would look gorgeous in the Fall. Which formula would you go for? I have to say for me it's a tie between the crayon and the lip oil, mostly because I love them together!